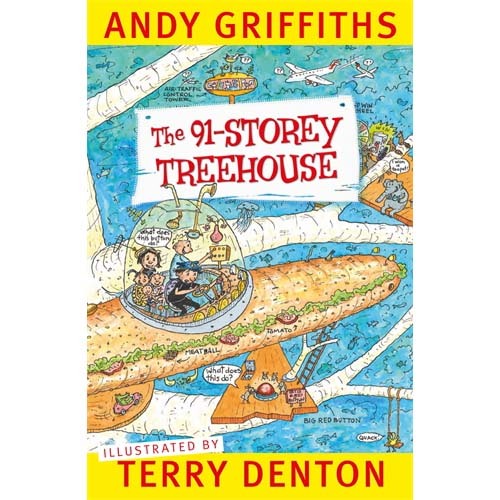 Join Andy and Terry in their ridiculous 91-storey treehouse! Go for a spin in the world’s most powerful whirlpool, take a ride in a submarine sandwich, get marooned on a desert island, hang out in a giant spider web, visit the fortune teller’s tent to get your fortune told by Madame Know-it-all and decide whether or not to push the mysterious big red button. Well, what are you waiting for? Come on up!